3rd Biennial Conference: "El Conocimiento es Poder"
Please contact Roberto Sandoval at workshops@nchdhh.org if you have any questions. Are you interested to place your ads for our 2012 NCHDHH Conference? If so, please visit http://www.nchdhh.org/program-book.html for fees/rates or contact Jenny Reins at ads@nchdhh.org. Are you interested to set up a booth at our 2012 NCHDHH Conference? 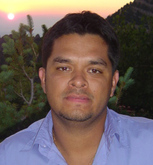 If so, please visit http://nchdhh.org/exhibition-booth.html for fees/rates for contact Raul Lozano, Jr. at booths@nchdhh.org. Click this link to download the 2012 NCHDHH Conference Registration Form or go to this link: http://nchdhh.org/general-admission.html. Early Bird Package must be paid/postmarked on or before June 1, 2012. For more information about registration, please contact Ann Horn and Kathryn Menchu at registration@nchdhh.org. 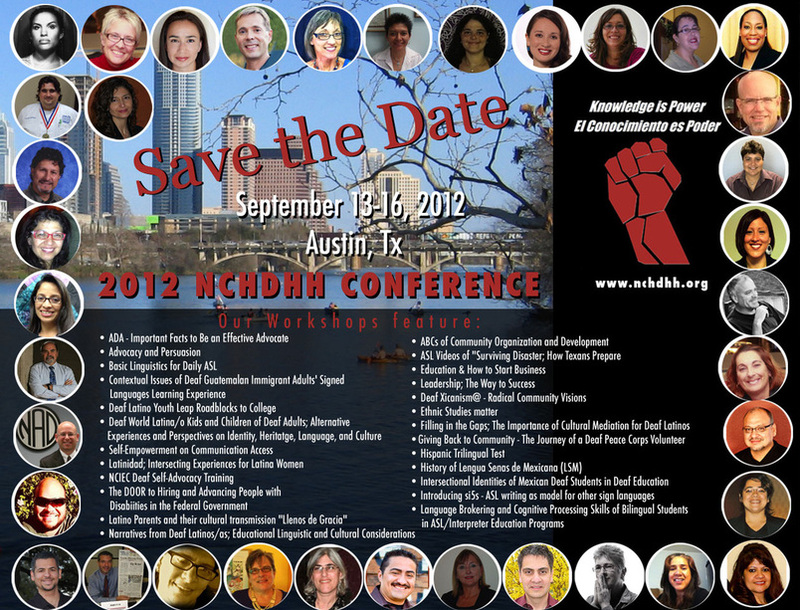 We are looking for presenters to give presentations for our upcoming 2012 NCHDHH Conference in Austin, Texas! Our 2012 Conference theme is "Knowledge is Power." Please spread the words to your family and friends about this important video! Interested to attend the conference? 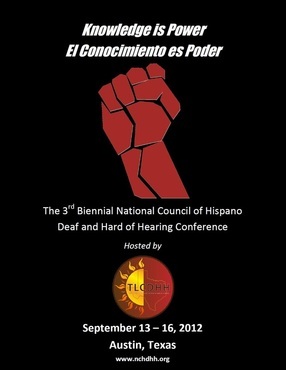 Be sure to visit our 2012 NCHDHH Conference information. DHHS-BEI and RID CEUs are provided for all workshops. Good news! NCHDHH decided to add individual Tickets and Early Bird Combo (moved) on NCHDHH's website. More flexible choices for you! 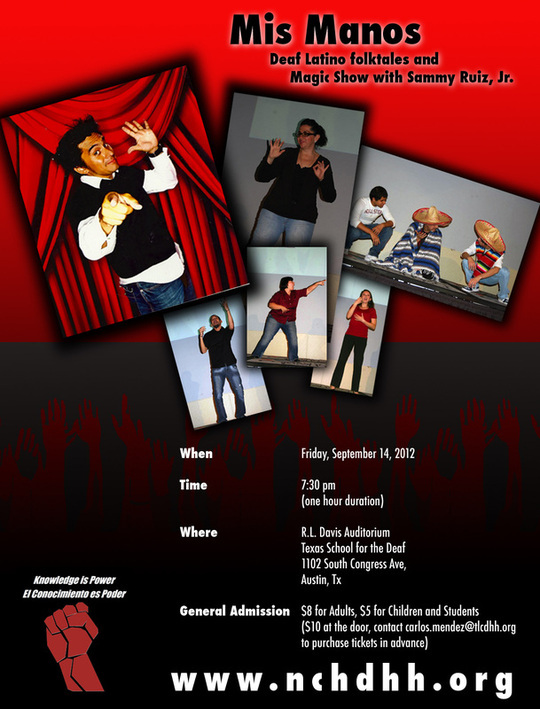 Mis Manos: Deaf Latino Folktales and Magic Show with Sammy Ruiz, Jr.
﻿2012 NCHDHH Conference Schedule can be downloaded here. DHHS-BEI and RID CEUs are provided at the 2012 NCHDHH Conference. 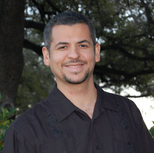 The 2012 NCHDHH Conference is thankful and fortunate that Texas Latino Council of Deaf and Hard of Hearing members that have committed to work and host in Austin, Texas. In essence, we proudly recognize these members who have been willing to participate and assist many things in the conference. We would like to give them "Special Thanks" for their efforts.